The spice must flow but the beer? Not always, and last call for breweries large or small is only a question of timing. 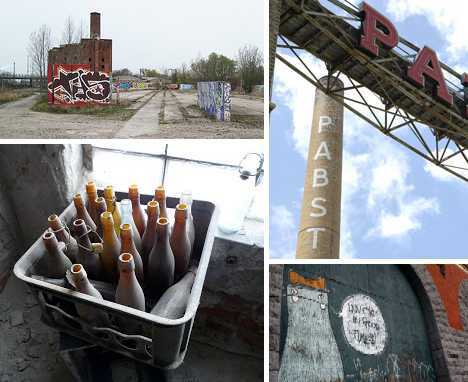 These dozen decrepit, decommissioned and de-alcoholized breweries are the drunk dry victims of changing times, changing tastes and changing fortunes. Motorists out for a Sunday drive on the the Newell highway near historic Narrandera, New South Wales should keep their eyes peeled for the abandoned Lincoln Oakbank Brewery. 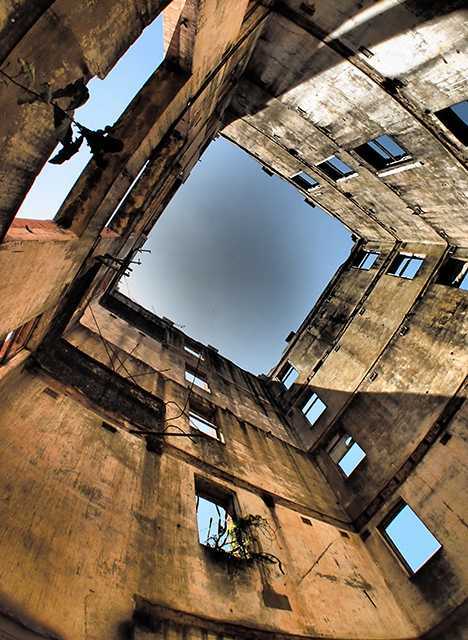 Overtaken by “climbing plants, birds and clusters of spiders,” the formerly stately brick brewery now lies at the brink of collapse. As for the mysterious occurrence of a single ladies shoe at the site, we’re taking the fifth and blaming the spiders. The brewery’s well-built and sturdy looking five story tower was designed by Australian architect John Hill Robertson (1870-1955) just after the turn of the century. 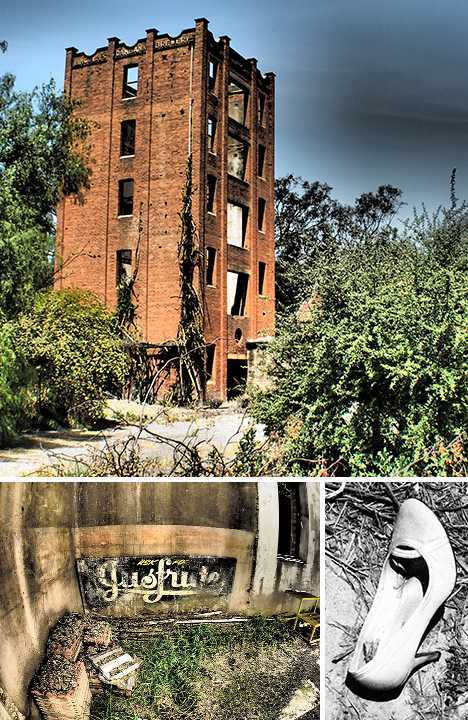 We can thank Tara Moss for capturing these eerie and haunting images of a brewery down under that went under. A brewery in Pakistan? It’s more likely than you think. The Murree Brewery Company Ltd. was established in 1860 to provide British administrative and military personnel stationed at Ghora Gali with English-style ale. 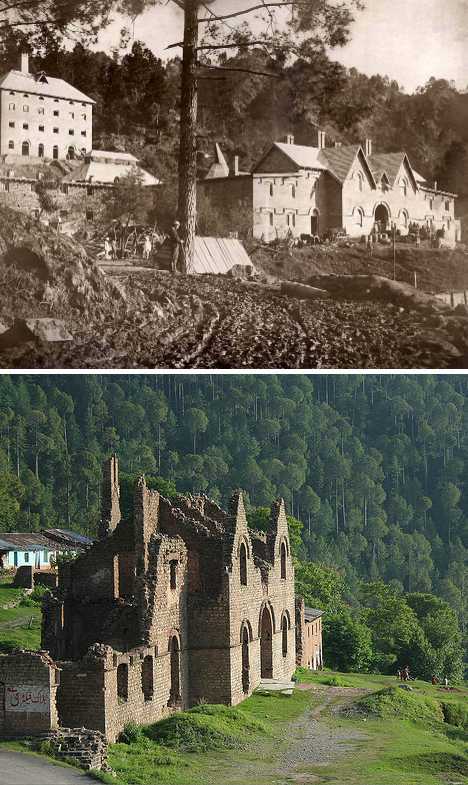 The company still exists today (though exports are forbidden) but the original Gothic brewery complex at Ghora Gali was burnt down during the Partition riots in 1947/48. 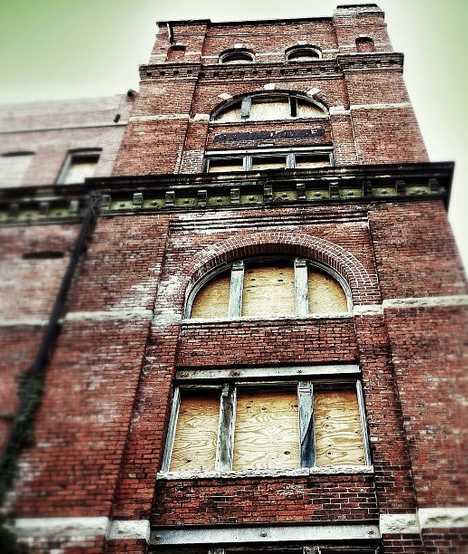 Thanks to photographer Umair Altaf who snapped the coolly refreshing image of the original brewery above. 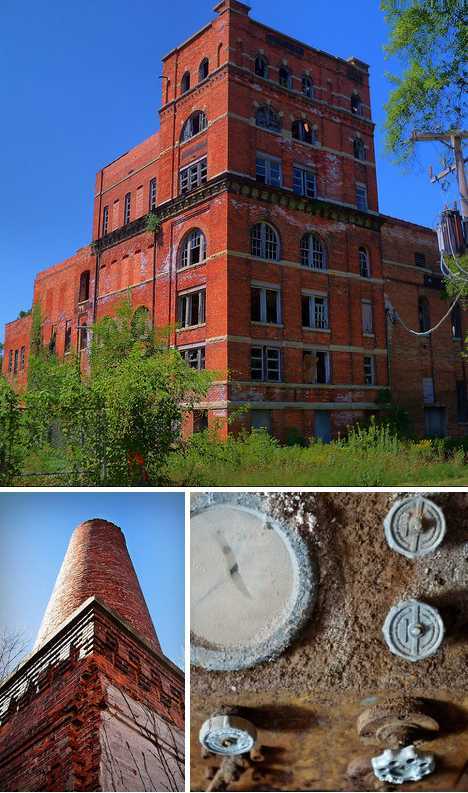 Founded in 1866 by German immigrant Louis Gebhard, the Gebhard Brewery in Morris, Illinois, once used a third of the corn grown in Grundy County. Golden revenues were pouring in as fast as Gebhard’s golden brew was pouring out in 1896, when the last bricks in the main building were mortared into place. Then came the passage of the 18th amendment in 1919 and a year later, Gebhard Brewing was no more. Sometime in the early 1920s, most of the brewing machinery was sold and shipped to Shanghai, China while the 7-story main brewery building housed a number of marginally successful businesses over the next half-century. The building has now been unoccupied for about 25 years though plans are afoot to repurpose the structure to some other use.